Now that Christmas is over, it’s time to start thinking about the New Year. For me, the best way to welcome a new working year is with a fresh, inspired desk space. This weekend the hubs made me the most amazing, beautiful “blonde” pine trestle desk. It’s gorgeous and big enough for me to work and fill it with pretty things! It needs to be finished off, so in the meantime, I’m looking for beautiful desk accessories to adorn it with. 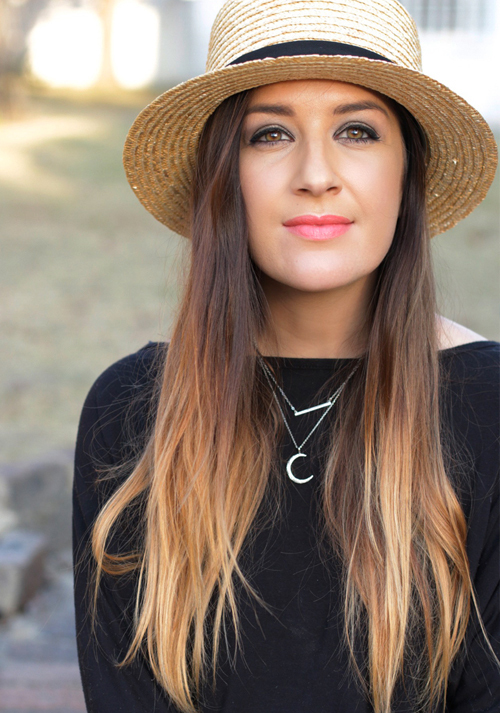 I love the look of natural wood, and since that’s the basis of my desk, I want to go for natural wood pieces, gold and white accents with a touch of black and white for contrast. 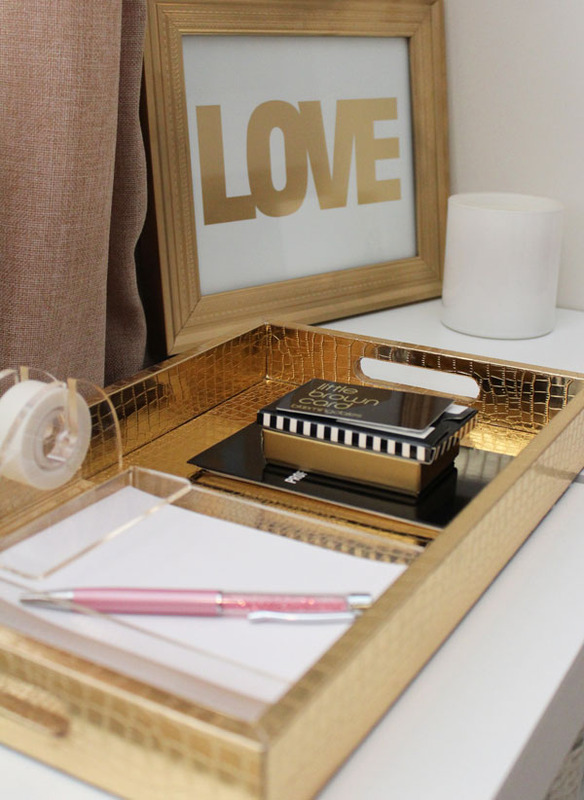 Until my pretty new desk is ready to reveal, here’s a couple of gorgeous things that I’d love to have on my desk in 2015! 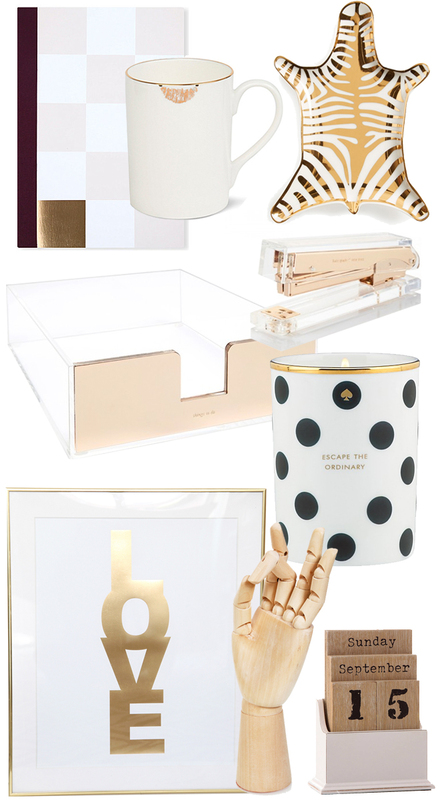 Studio Sarah Notebook, Reiko Kaneko Lip Tease Mug, Jonathan Adler Gold Zebra Dish, Kate Spade Acrylic Letter Tray, Kate Spade Acrylic Stapler, Kate Spade “Escape the Ordinary” scented candle, Made By Girl Love Foil Print, Wooden Hand Mannequin, Wood Block Perpetual Calendar. 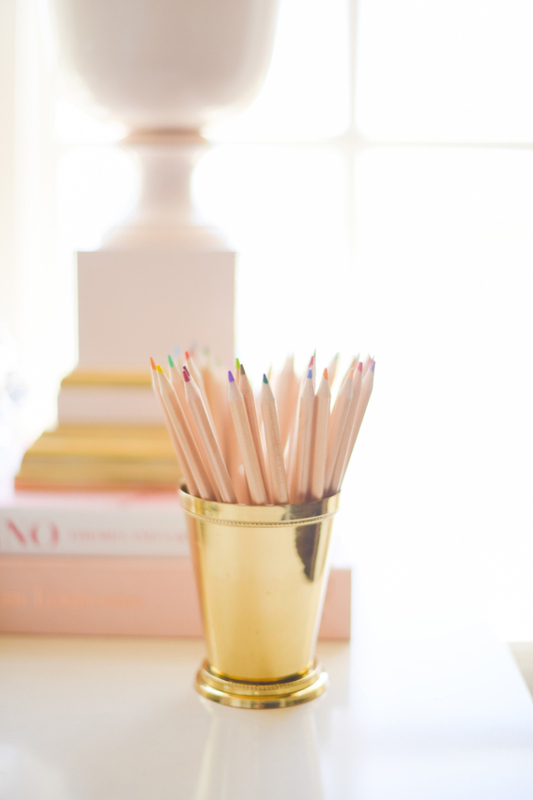 The beautiful desk of Danielle Moss via Apartment Therapy. LOVE this space of Kristen Clarke from Living In Color Print. More images here. 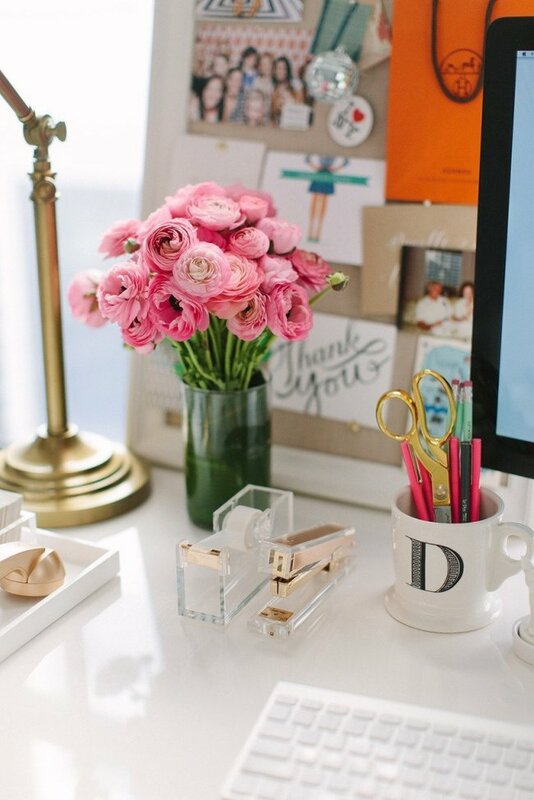 Rach Parcell from Pink Peonies has the most amazing style in everything, including her desk! More pics of her desk and closet space here. 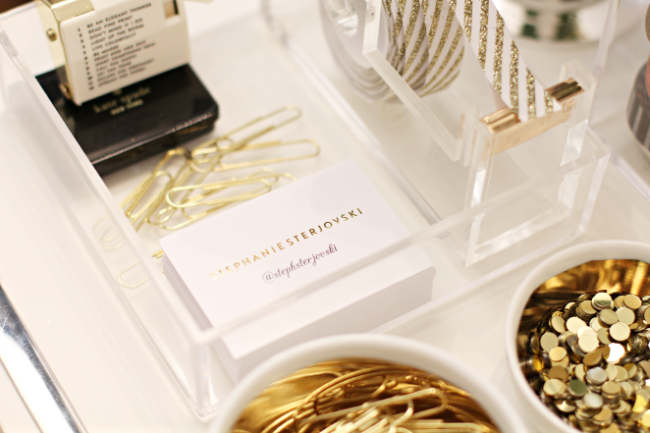 Love the super stylish space of Stephanie Sterjovski. She has an amazing desk, filled with pretty things! I can’t wait to show you guys the finished product!